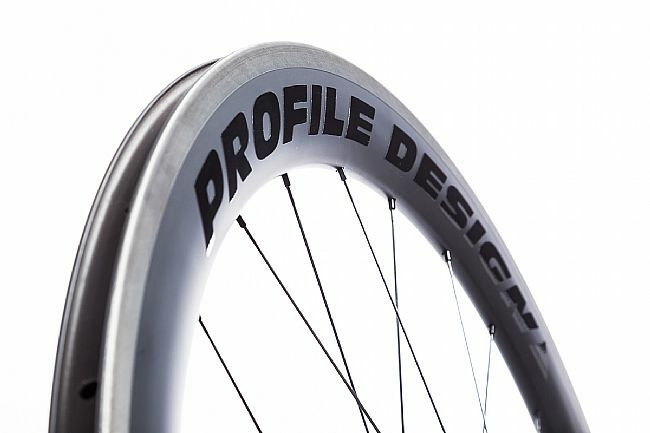 Profile Design's 58/TwentyFour Clincher Wheelset is the product of a collaboration between Computational Fluid Dynamics technicians and PF's experts in aerodynamics. 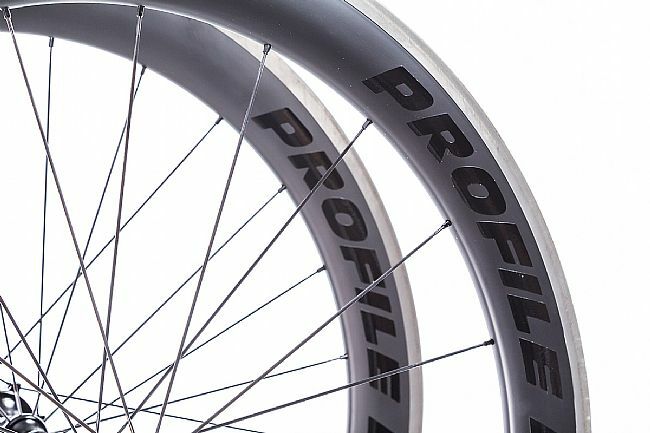 The carbon fiber 58mm medium dish rims with an external width of 24.5mm feature a subtly curved rim shape with a rounded spoke-facing edge, delivering a smoother ride and impressive stability in crosswinds. 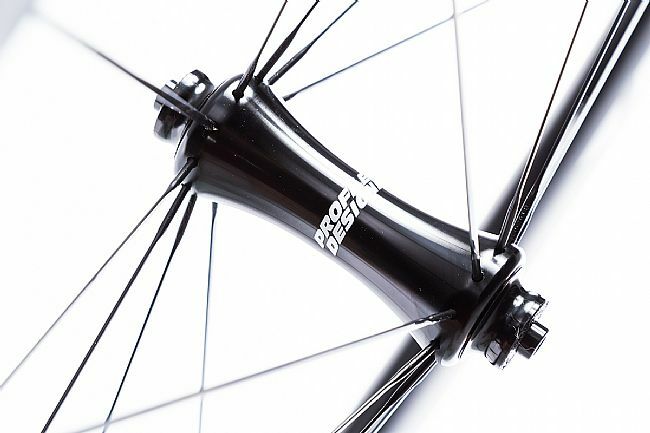 The forged, machined 6061-T6 aluminum hub and shot-peened, hard anodized 7001-T6 aluminum freehub deliver strength and stiffness that translates to responsive shifting and increased power transfer. 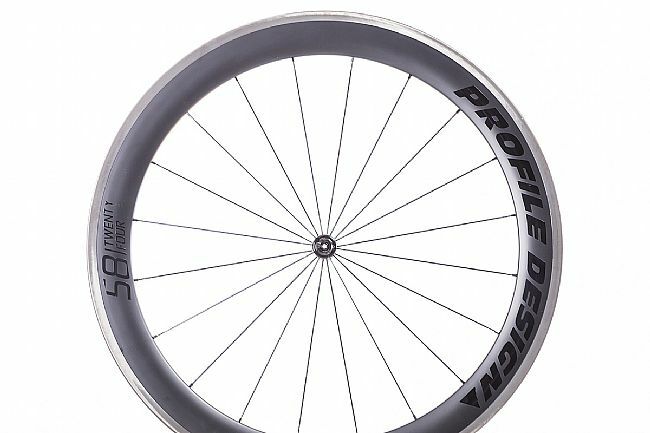 For greater durability and braking performance, Profile Design developed a proprietary high Tg point resin for their TwentyFour series wheelsets that’s, according to PF, 30% higher than other “high” Tg resins. 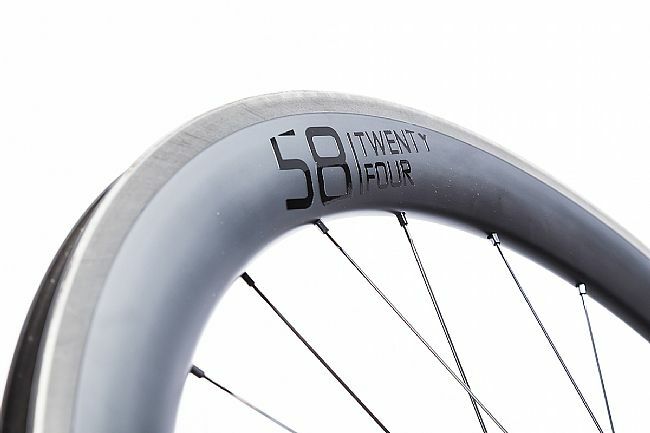 Rim Width 17mm (internal), 24.5mm (external). Bearing size: 699 (front); 6802 (rear). Spoke Shape: Straight Pull, Bladed. Spoke Pattern: Radial (front); Radial/2 cross (rear). 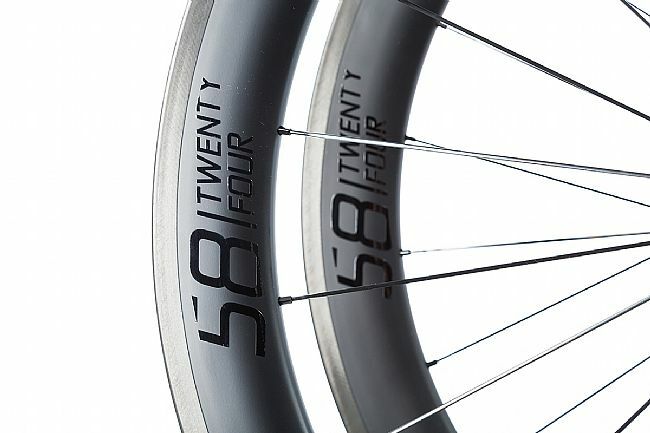 Spoke Count: 20 (front); 24 (rear). Claimed Weight: 728g (front); 904g (rear). 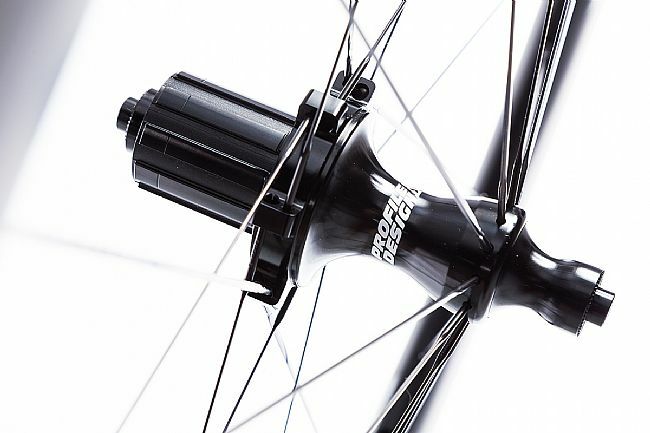 Compatibility: Shimano/SRAM 9/10/11spd; Campagnolo 10/11spd w/ separately sold Campagnolo-specific freehub. Very stable and ultra fast wheels. Acceleration is quite quick even though this is a medium dish wheel set. Handling is precise down steep descents and through corners even on windy days. They are light enough for all but the steepest and longest climbs. 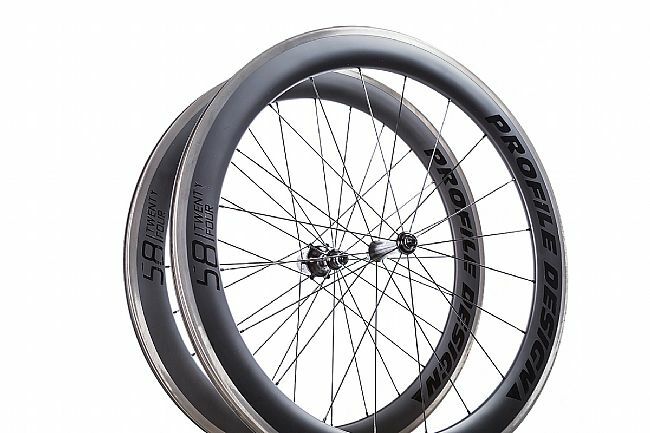 These are some great all around wheels! I use them every day, even in training and they are bombproof. Then they can turn around and perform well on race day with some great aerodynamics!